Lesotho (MNN) — Of all the countries in Africa, Lesotho stands out as the only one completely contained within another country. It’s totally surrounded by South Africa. 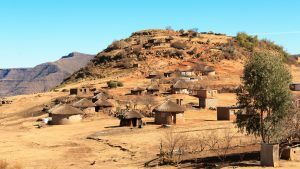 With around two million people, Lesotho is divided into two major sections geographically — the lowlands and the mountains. While the lowlands have the advantage of cities and travel ease, Lesotho’s mountainous regions are hard to reach and the people often cannot get to medical services like hospitals and doctors. Since Lesotho has the third largest number of HIV/AIDS cases in the world, medical care is critical. The sharp contrast of lowlands and mountains means Lesotho churches are also geographically divided. 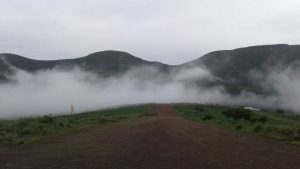 Matt Monson with Mission Aviation Fellowship in Lesotho says while there are theologically solid churches in both regions, villages in the mountains do not have easy access to trained pastors, and remote congregations often suffer theologically. Just because Lesotho’s population is 80 percent Christian doesn’t make ministry any easier. In fact, Monson speculates, in some cases it even makes witnessing the Gospel more difficult. 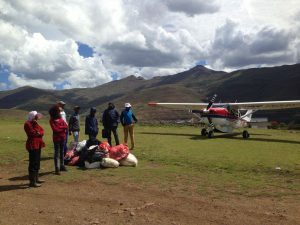 With the desperate medical and spiritual needs in the Lesotho mountains, MAF is connecting doctors and pastors with remote communities — through aviation! 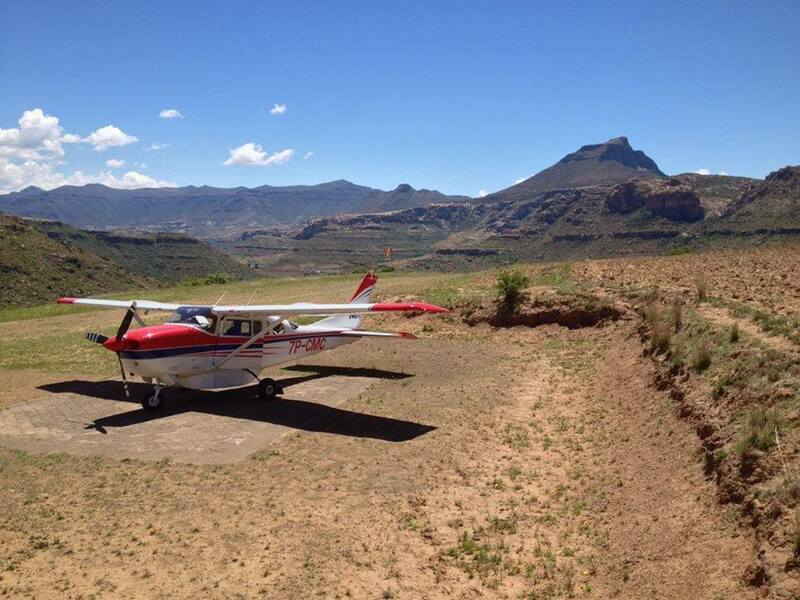 In Lesotho, MAF collaborates with the Lesotho Flying Doctor Service next door to their base. LFDS has a team of doctors, nurses, and trained specialists whom MAF flies to the clinics they service. MAF also transports remote patients in critical emergencies or if they need regular medical treatment. The MAF pilots often carry Gospel of John booklets with them. When the people they serve open up conversations about faith matters, the pilots can offer these booklets and talk about their relationship with Jesus Christ. 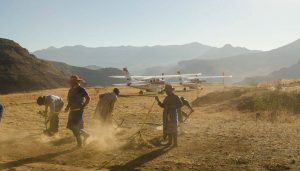 Additionally, MAF partners with local churches for the Lesotho Flying Pastors project. A village in the mountains of Lesotho. MAF’s chaplain, Sefiri, combines spiritual outreach with medical care by ministering to families in hospitals and clinics. Recently, the Lesotho government started having patients from the mountains sent to mountain hospitals instead of the city. Since these remote patients are no longer coming to him, MAF is sending Sefiri to them. Just last month, Sefiri had an impactful encounter with a father whose young daughter was in the hospital. 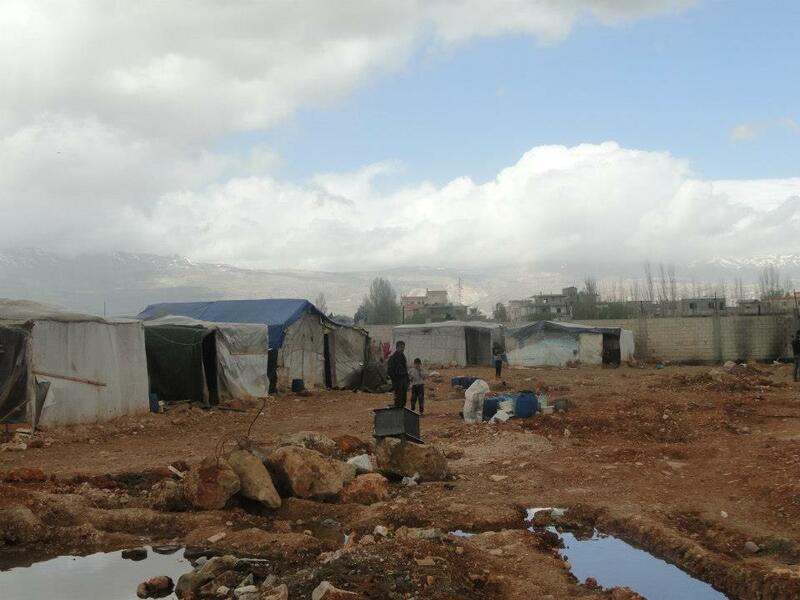 As his daughter recovered, the father asked Sefiri to visit his remote village in the mountains. “It was about a six-hour walk from the airstrip to get to his village and when he got to the guy’s house, his whole family just greeted him with joy and excitement because of the love and the care he had showed their family while they were in a really difficult situation. While the MAF team in Lesotho is passionate about their ministry, Monson says they can always use encouragement. Please pray for the MAF Lesotho team to remain spiritually encouraged and vibrant as they serve hard-to-reach communities. Through MAF Lesotho’s Facebook page, you can get prayer updates and continue interceding for the team. You can also learn more about MAF missionaries here and support those serving in Lesotho. If you would like to support MAF’s work in Lesotho, click here. Pray for the MAF Lesotho team to be spiritually encouraged as they serve. Ask God to open the hearts of remote communities in Lesotho to accept the Gospel.